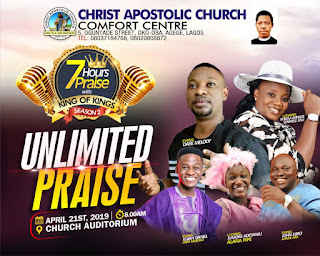 Christ Apostolic Church, Comfort Centre, Oko-Oba Agege Lagos is set to hold Unlimited Praise Concert tagged "7hours Praise With King of kings." 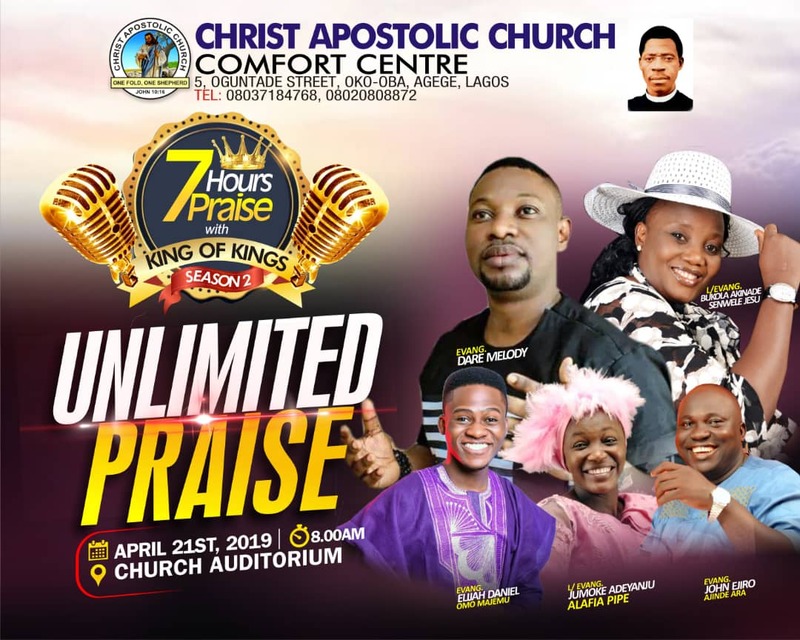 The praise concert which is in its season 2 will hold on Sunday April 21st, 2019 by 8am. Guest artists for the programme are Evang. Dare Melody, Lady Evang. 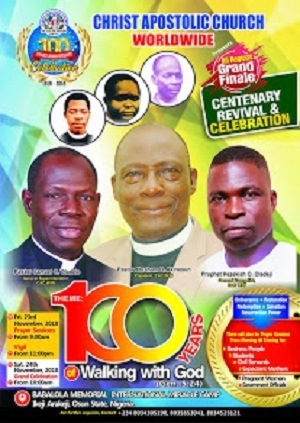 Bukole Akinade (Senwele Jesu), Evang. Elijah Daniel (Omo Majemu), Lady Evang. Jumoke Adeyanju and Evang John Ejiro. 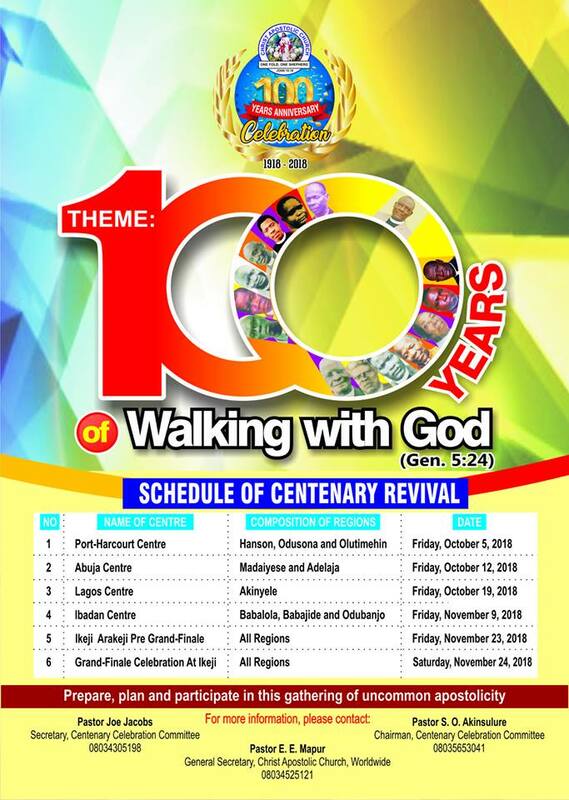 CAC Comfort Centre is situated at 5, Oguntade Street, Oko-Oba, Agege Lagos.